“Prepare-se. O inverno está chegando!”. That’s one of the phrases I’ve learned during my internship at Step1 Idiomas, a language school in Florianópolis (Brazil). It means: “brace yourselves, winter is coming!”. Most people will know where that one comes from. If not, let me Google that for you. After my amazing experience in the favelas of Rio de Janeiro I travelled via São Paulo to the island Florianópolis. Or, how Brasileiros call it: ‘Floripa’. 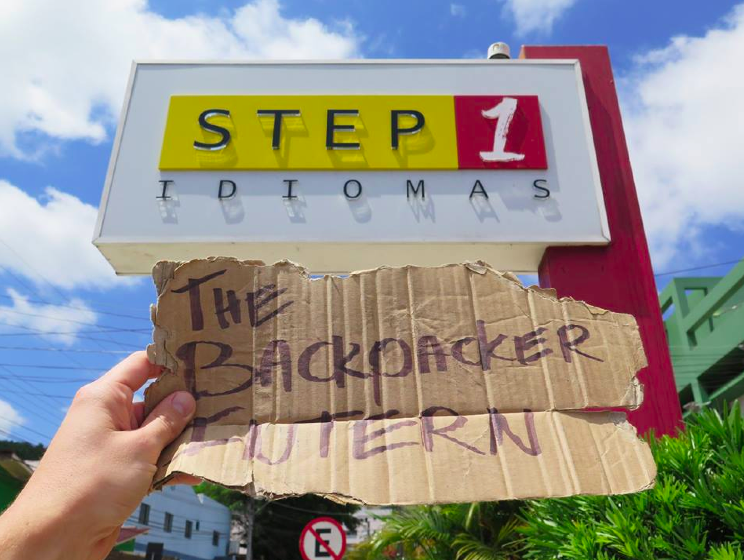 The owner of Step1 Idiomas, Miguel Kieling, picked me up at the bus station. Miguel was one of the 700 who sent me an email one year ago, when my project got picked up. 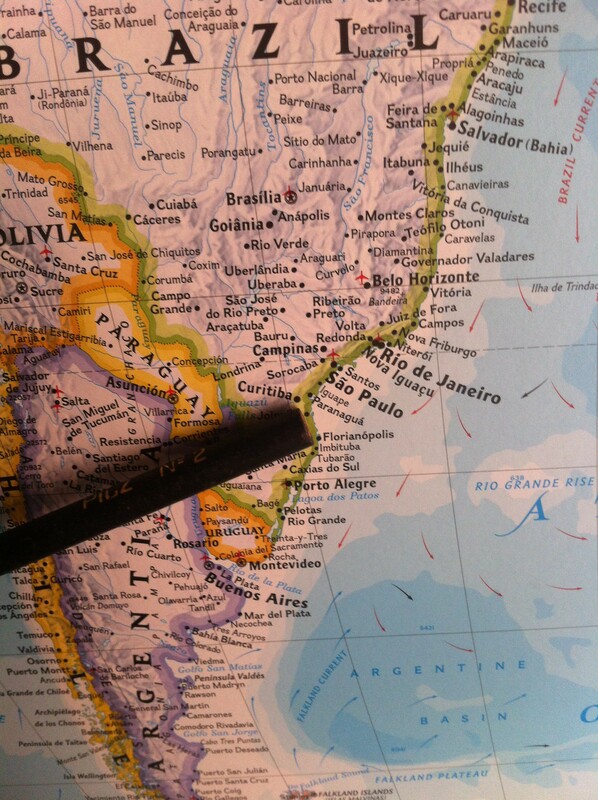 At that moment I was in Asia but really wanted to go to Brazil and South America so we stayed in touch. It’s incredible to see how connected the world nowadays is. Because of one simple video we now met up for real. Miguel drove me to the school, which is strategically located next to UFSC, a.k.a. the Universidade Federal de Santa Catarina. After showing me around we went to his mother. 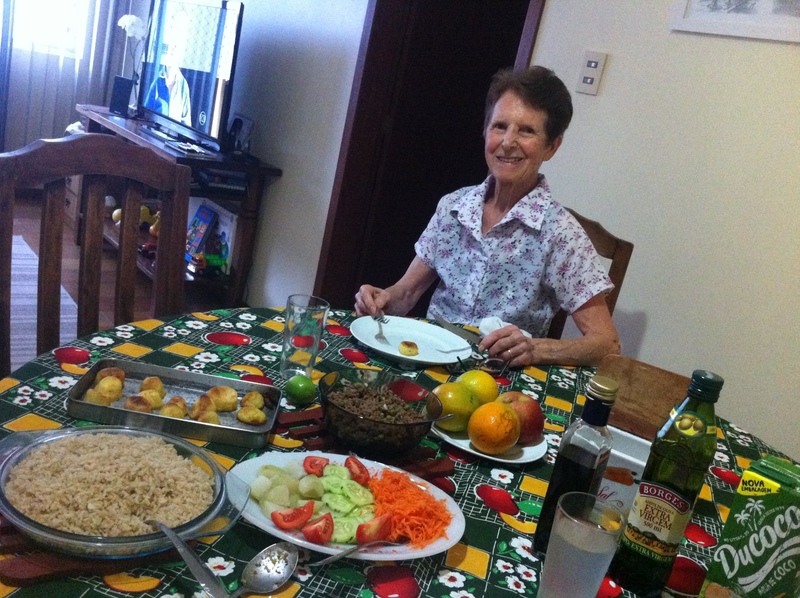 A super sweet woman that I saw every day after that, because she was cooking diner for us. During the 2,5 weeks that I spent in Floripa I really made progress everyday. In the beginning I could hardly have a conversation with her but every time I picked up more words and we talked about family, travels and the differences between our cultures. I really had the feeling that I was ‘living’ in Floripa because every evening we had the same ritual. I came ‘home’ from work, we had diner, watched a Brazilian TV-Show and then she looked at me with a big smile pointing out one finger in the air saying: “Journal Nacional”. That was another great way to learn the language. 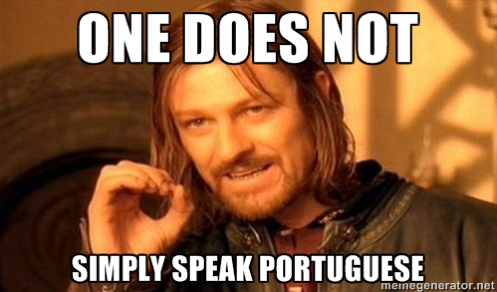 I must admit that Portuguese is not easy for me though! What did help me to learn the language better were the private lessons at Step1 Idiomas. In the morning and afternoon I worked on creating ideas and strategies for the school and just before or after lunch I had lessons. In the beginning it was quite hard because the whole lesson was in Portuguese. In the end that was actually a smart move, since it forces you to find the right words. With hand gestures and theatrical movements I tried to explain myself, and the teacher tried to figure out what I said. Just like the conversations with Miguel’s mom it became better and better every day. Floripa is a beautiful island. The first few days I didn’t see much more than my room and the school but luckily Miguel took me and another student to Barra da Lagoa for a hike. I really love hiking, it’s a great way to stay fit, enjoy the nature and end up at amazing views. 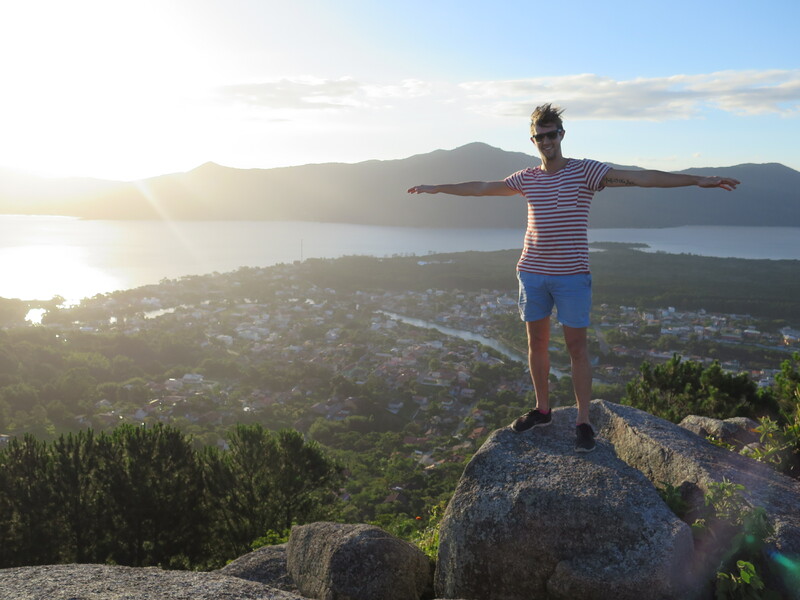 Here’s the view from a mountaintop at Barra de Lagoa. Isn’t that awesome? After 1,5 week I had to skip class. The reason? Obama was busy and needed an intern at The White House (*cough* I wish;)). 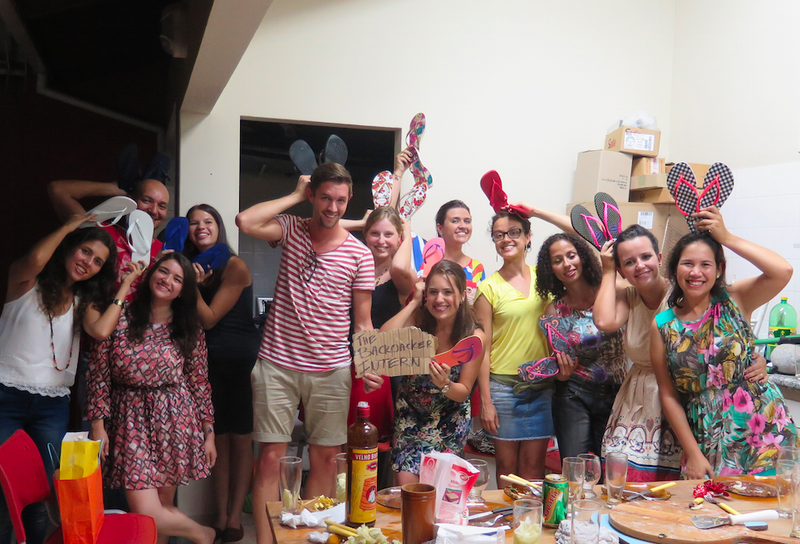 Miguel e o resto da tripulação Step1 Idiomas, obrigado por esta experiência maravilhosa, desejo-lhe tudo de melhor e esperamos vê-lo novamente!